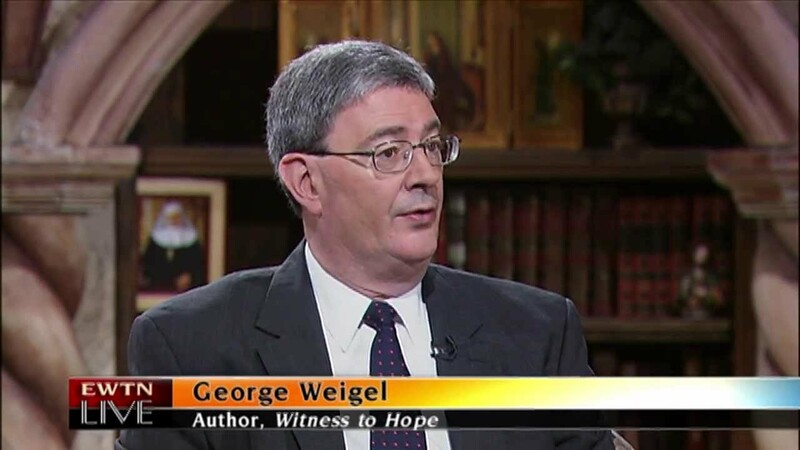 George Weigel is a theologian often described as a “neoconservative Catholic.” He is a “distinguished senior fellow” at the Ethics and Public Policy Center (EPPC) and was a founding signatory to the neoconservative Project for the New American Century (PNAC). Weigel is considered to be a leading member of a small group of hawkish religious scholars, many of whom are conservative Catholics (including the American Enterprise Institute’s Michael Novak and the Institute on Religion and Public Life’s Richard John Neuhaus), who have worked to turn back the secular tradition in U.S. politics. In 2010, Weigel joined international figures like former U.S. Ambassador to the United Nations John Bolton and former Spanish Prime Minister José María Aznar in launching the “Friends of Israel Initiative,” a “pro-Israel” advocacy organization that seeks to form a “strategic alliance between Jews and non-Jews.” Weigel is also a board member at the National Endowment for Democracy, along with Elliot Abrams and Zalmay Khalilzad. One reviewer said of Weigel’s Faith, Reason, and War Against Jihadism: “The main goal of Mr. Weigel’s book… is to harangue, condemn, and damn Americans because they do not see the world as do the neoconservatives, and because they find nothing consistent with America’s history, interests, character, or ideals in the type of country and foreign policy Mr. Weigel advocates. And there is no room for debate in Mr. Weigel’s new world order, which is to be dominated by something he calls the U.S.-led ‘freedom project,’ apparently to be patterned on current Iraq War. [p. 117] Americans who disagree with him … are not real Americans, they are rather members of the ‘Unhinged Left and the Unhinged Right’ [p. 137], men and women who do not now ‘deserve’ victory in the war against the Islamists [p. 109-10]”. In 1997, Weigel and host of prominent neoconservatives and hardline foreign policy wonks added their names to the founding statement of principles of PNAC, a group that helped champion a new post-Cold War agenda guided by “Reaganite” foreign policy and served as a key rallying point for supporters of an Iraq war in the wake of the 9/11 terrorist attacks. In the run up to the 2003 U.S.-led invasion of Iraq, Weigel endeavored to develop a Christian justification for the war and the “preemptive” use of military force. In opposition to the arguments of many leading Catholics, Weigel stated that Catholic “just-war” tradition “lives more vigorously … at the higher levels of the Pentagon than … in certain offices at the United States Conference of Catholic Bishops.” The National Catholic Reporter said in response: “It’s an interesting argument, but to employ a military euphemism, Weigel seems guilty of faulty targeting. The U.S. bishops have put out one well-reasoned, cautious statement expressing reservations about a possible attack in Iraq, but there has been no antiwar campaign from their headquarters in Washington. The real outcry in the Catholic world is coming from across the Atlantic Ocean, and more precisely from the subject of Weigel’s 1999 biography Witness to Hope—Pope John Paul II. If Weigel should be picking on anyone, it’s the pope”. Weigel’s views on the Iraq War and preemptive military force fall squarely within the neoconservative policy framework. In his 1997 book on the roots and trajectory of neoconservatism, former PNAC director Mark Gerson writes that “the term ‘neoconservative’ … has been applied broadly to a prominent group of largely Jewish intellectuals who, once considered to be on the left, are now on the right.” Gerson lists some 40 individuals as being at the core of the early movement, including Weigel; Irving Kristol (“the central figure of neoconservatism”); Gertrude Himmelfarb, the noted historian of Victorian England to whom Kristol is married; the husband-wife team of Norman Podhoretz (editor at large of Commentary magazine) and writer Midge Decter; and a ragtag assortment of well-known political figures, writers, and scholars, such as Michael Novak, William Bennett, the late Jeane Kirkpatrick, Joshua Muravchik, Walter Lacquer, Peter Berger, Elliott Abrams, Ben Wattenberg, Daniel Patrick Moynihan, the late Penn Kemble, Sidney Hook, Nathan Glazer, Saul Bellow, Daniel Bell, Leon Kass, Carl Gershman, and Martin Peretz. In his 1989 book, American Interests, American Purpose: Moral Reasoning and U.S. Foreign Policy, Weigel argued that given that “evildoers” roam free, U.S. foreign policy should be guided not by naïve moral notions about how nations should behave, but by moral reasoning. In some cases, he adds, moral reasoning may require that the United States support authoritarian regimes to fend off the greater evils of moral decay and threats to the security of the United States, which is the champion of all that is good and right. Weigel was also a principal at the Puebla Institute and an associate of the anticommunist World Without War Council, which promoted aggressive U.S. military action in Cold War hotspots like Central America. There he worked with Nina Shea, whose investigation of alleged Sandinista government religious persecution was carried out in coordination with the CIA and Contra figures. The Puebla Institute received U.S. government funding channeled through the National Endowment for Democracyto the front group PRODEMCA. Dale Vree, “Rhetorical Witchcraft,” New Oxford Review, January 2006, http://www.newoxfordreview.org/reviews.jsp?did=0106-vree. 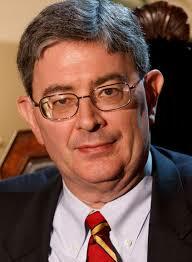 George Weigel, “Religious Freedom vs. Aggressive Secularism,” National Catholic Register, October 20, 2012,http://www.ncregister.com/daily-news/religious-freedom-vs.-aggressive-secularism1. George Weigel, “In Defense of Israel’s Legitimacy,” First Things, August 18, 2010, http://www.rightweb.irc-online.org/profile/bolton_john. National Endowment for Democracy, “Board of Directors,” http://www.ned.org/about/board. George Weigel, “Just War Revisited and Revitalized,” First Things, March 12, 2014, http://www.firstthings.com/web-exclusives/2014/03/just-war-revisited-and-revitalized. George Wiegel, “Obama Scuttles. America Retreats. Things Fall Apart.” Standpoint Magazine, January/February 2015,http://eppc.org/publications/obama-scuttles-america-retreats-things-fall-apart/. George Wiegel, “Regensburg Vindicated,” First Things, September 17, 2014, http://www.firstthings.com/web-exclusives/2014/09/regensburg-vindicated. George Weigel, “Westminister Abbey and Charlie Hebdo,” National Review Online, January 28, 2015,http://eppc.org/publications/westminster-abbey-and-charlie-hebdo/. George Weigel, “Lenin Meets Corleone,” National Review, March 7, 2015, http://eppc.org/publications/lenin-meets-corleone/. George Weigel, “Faith, Reason, and the War against Jihadism,” Book Talk at the Foreign Policy Research Institute, February 4, 2008, Internet Archive website,http://web.archive.org/web/20080212210948/http://www.fpri.org/transcripts/20080204.weigel.faithreasonjihadism.pdf. George Weigel, Faith, Reason, and the War Against Jihadism: A Call to Action, excerpt from Random House online catalog,http://www.randomhouse.com/catalog/display.pperl?isbn=9780385523783&view=excerpt. George Weigel, “One Party Can’t Defeat Jihadism,” USA Today, January 22, 2008,http://usatoday30.usatoday.com/printedition/news/20080122/oplede15.art.htm. Michael Scheuer, “George Weigel’s Anti-American Jeremiad,” Antiwar.com, January 11, 2008, http://www.antiwar.com/scheuer/?articleid=12186. George Weigel, “Beyond the Water’s Edge,” Policy Review, Fall 1995, http://www.hoover.org/research/beyond-waters-edge. History Commons, “George Weigal,” http://www.historycommons.org/entity.jsp?entity=george_weigel. “Conservatives Dissent, But with a Spin,” National Catholic Reporter, January 31, 2003,http://www.natcath.org/NCR_Online/archives/013103/013103q.htm. Mark Gerson, The Neoconservative Vision: From the Cold War to the Culture Wars (Lanham, MD: Madison Books, 1997). George Weigel, American Interests, American Purpose: Moral Reasoning and U.S. Foreign Policy, 1989. Discovery Institute, “George Weigel,” http://www.discovery.org/p/29. Right Web, “Puebla Institute,” https://rightweb.irc-online.org/articles/display/Puebla_Institute. St. Mary’s Seminary and University: B.A. University of St. Michael’s College: M.A.